Returning to Marina Bay Sands, Singapore from 19 – 22 June 2012, EnterpriseIT2012 will be showcasing the newest technological solutions and innovations for today's enterprises. Witness 'The Business World of Tomorrow' here and see how you can implement the latest innovations to your businesses. 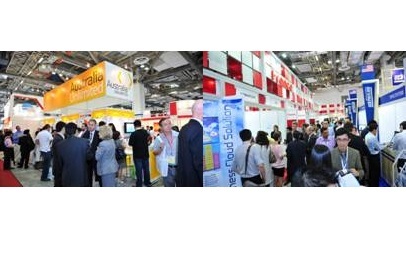 EnterpriseIT2012 is held in conjunction with CommunicAsia2012 and co-located with BroadcastAsia2012. BroadcastAsia is highly acclaimed as THE one-stop knowledge platform for the Broadcasting industry. It will be held at Suntec Singapore from 19– 22 June 2012. Experience the convergence of technology at work at EnterpriseIT, CommunicAsia and BroadcastAsia - Asia's largest definitive ICT, Digital Multimedia & Entertainment Technology Exhibition and Conference located at one central location. Join leading exhibitors, industry experts, top executives, key buyers and influencers as they congregate all under one-roof at EnterpriseIT2012! The convergence of voice, data and video, coupled with the emergence of new technologies have brought about a much greater need for next generation networks and services. FTTx is thus in the spotlight once again to provide the infrastructure required. See the latest fibre optics equipment and fibre communications that facilitate optimal access to next generation services in the exhibition halls. For more info on exhibiting within the techzone, click here to download the brochure. Cloud Computing is no longer a hype, it has evolved to becoming a reality that will transform the role of ICT within businesses. Many enterprises are adopting cloud computing services to improve productivity and reduce costs. Check out the exhibitors that will be showcasing the latest products and services related to the entire cloud spectrum from cloud infrastructure & platform, services & applications to cloud security. Interested in being part of the Cloud Services and Security techzone, click here to download the brochure. A new report from Pyramid Research forecast Asia-Pacific to be the largest market for M2M subscriptions in volume terms in 2013, and is expected to account for 37 percent of the total market in 2016. Will M2M, known as the next evolution of communications, be just a hype or here to stay in the ever-changing ICT industry? See the latest innovations, communication products and services in M2M showcase by the exhibitors within the techzone. 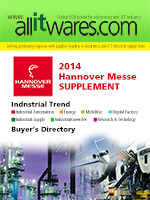 Click here to download the brochure for more info on exhibiting within the M2M techzone. Increased usage of smartphones and tablets has led to the explosive growth of mCommerce. This is further supported by a new survey by industry group MEF which found that there are an increasing number of Asia-Pacific users reaching for their devices to support their shopping decisions. Experience the latest mCommerce solutions by the service and technology providers exhibiting within the techzone. To find out more on exhibiting within the techzone, click here to download the brochure. Telepresence is transforming the way businesses are conducted in a more cost effective and efficient way. Frost & Sullivan had predicted that the APAC's telepresence market will grow at a CAGR (compound annual growth rate) of 22.9 percent from 2009 to 2015, hitting a market size of US$110.1 million by the end of the period. Witness for yourself as the exhibitors demonstrate how telepresence can benefit your businesss. Exhibit your best products and services pertaining to Telepresence in this techzone, click here to download the brochure. Occupying 5 levels of the exhibition centre, visitors will be treated to interesting live demonstrations by, and witness the launch of the latest technologies in 2012! A wide-ranging list of technologies catering to the needs of the industry will be featured in the exhibition halls.